But when you know her, it is very apparent that where she is truly extraordinary is as a mother. Her son, Spike, who I think is 10 now, is one of those little boys you could just sit and talk to all day — so sweet and funny and kind and smart. 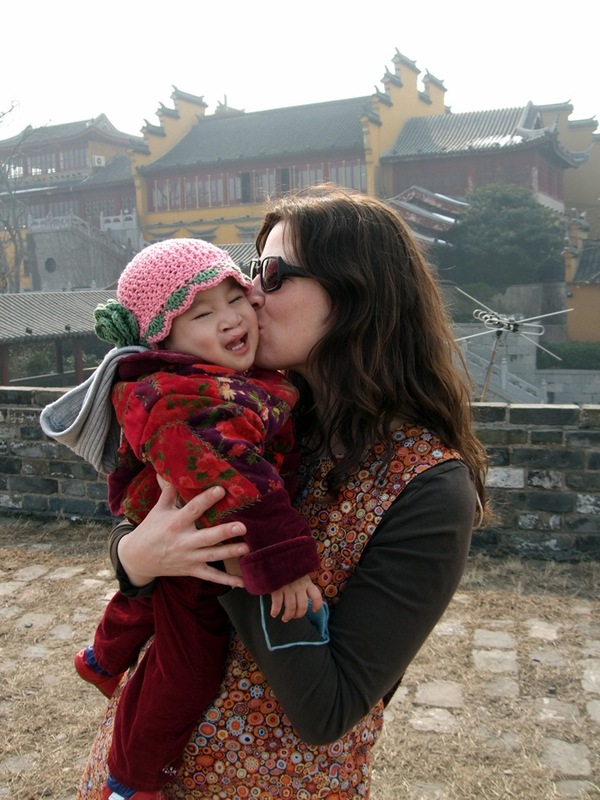 And two years ago, Maia and her husband, Ryan, decided to add to their family by adopting a BEAUTIFUL baby girl from China. As Maia recounts, they journeyed to that ancient land to meet their daughter, found the other half of the sky — and their lives were changed FOREVER. Anyway, that little baby is now a most lovely and LUMINOUS preschooler…and she is known by her Chinese name, Fang Fang (which, if I am not mistaken, is pronounced “Fong Fong”…though I must say I do LOVE the idea of a little girl running around with the name Fang Fang, pronounced the good ol’ fashioned American way. HA!) FF is like a little blossom, burgeoning with life and love and beauty — all with a little help, of course, from her amazing Mama, Daddy, and brother. I originally saw this remarkable video a few weeks ago — taken during the family’s first few hours together there in China — and almost not a day has gone by since that I have not pulled it up just to silently watch and listen. It is honestly one of my most favorite moments that I’ve ever had the privilege to witness. Be forewarned: it will take your breath away with its profound, quiet beauty. Thanks for sharing it with us all, Miss Maia. “Two years ago today we met FF for the first time in an office in Nanjing, Jiangsu. She cried for about fifteen seconds, then quieted down and became the silent, watchful girl she would be for the next 24 hours or so.